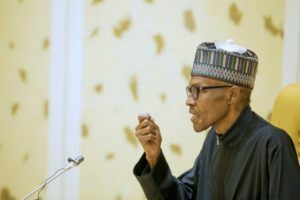 Justice Maurine Adaobi Onyetenu of the Federal High Court, sitting in Osogbo, Osun state capital has ordered the National Assembly to immediately commence impeachment process against President Muhammadu Buhari. The judge gave the order on Wednesday, July 4, 2018 based on the suit filed by two Nigerians, Kanmi Ajibola, a lawyer and Sulaiman Adeniyi, a human right activist urging the court to enforce the National Assembly to impeach President Buhari. DSS Arrests Ifeanyi Ubah For N11bn Theft, Economic Sabotage !